Everybody loves free stuff. Even rich people love free stuff. There is something so incredibly sweet about free experiences—ironically, we tend to savour and value them even more than ones we pay for. And in Perth, we’re actually pretty lucky to have a lot of them. From touring and exploring our fair city, to live music and public art, and with all the best and simplest so-Perth-it-hurts things in between, it seems that the best things in life actually do come free—in Perth, at least. 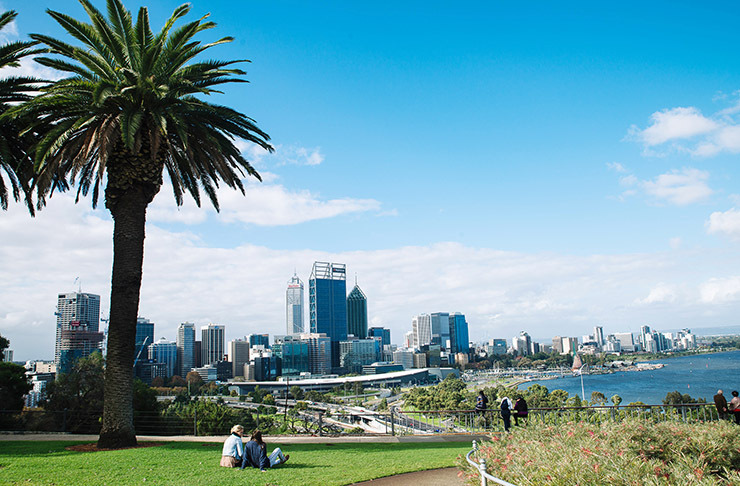 Here are 15 of the best free things to do in Perth. That’s right, you can actually hire bikes in Freo at the low, low price of zero dollars! All those times you end up not doing everything you wanted to do in Fremantle because it’s ‘too far to walk’ and ‘too hard to park’, you could’ve been on a free bike. 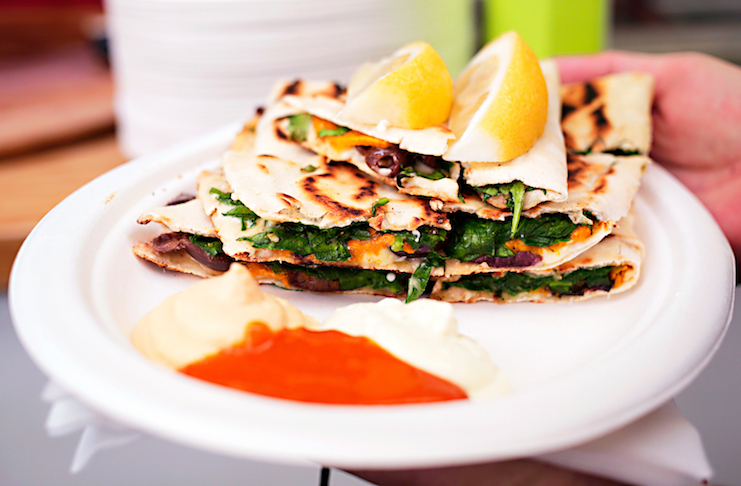 Pick them up from outside the Fremantle Visitor Centre, Little Creatures Brewery or the E-Shed Market. It’s seriously the best way to see the place! ‘We’re no Melbourne!’, I hear you say. But my friends, Perth has no shortage of street-art-heavy precincts to keep us cultured and to help us keep our wallets firmly in our pockets. If the giant octopus that welcomes you to Fremantle and the back streets and alleyways of Highgate aren’t enough to convince you, what about the mural outside Luna Leederville, the Stormie Mills ‘Equilibrium’ piece on Murray Street and ‘Lost Giant’ at the entrance to Prince Lane, or Mount Lawley’s spray-paint Seinfeld tribute? 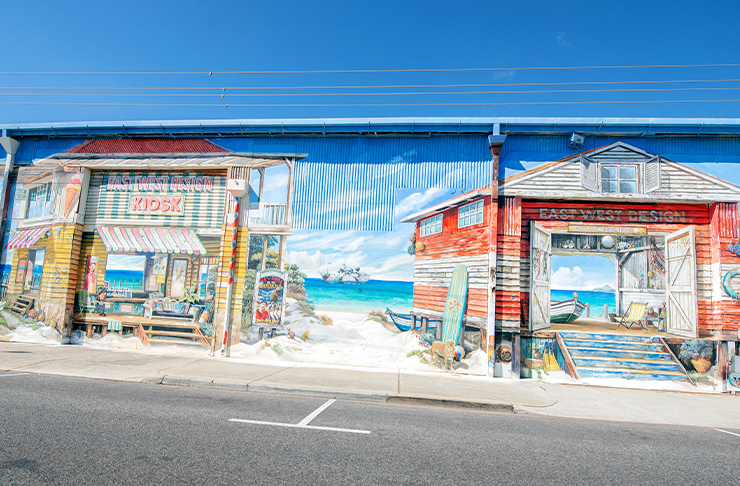 If you want more, use our list of Perth’s best street art and this handy little interactive map to help you! Sitting pretty above the iconic Flying Scotsman pub, right in the heart of Mount Lawley, is Defectors Bar, a place that offers a secluded alternative to the bustling street below and, conveniently, a bunch of free stuff. While the nightly offerings tend to change throughout the year, they’re known for things like free comedy on Sundays and free Salsa Nights every last Friday of the month. Check their website for the latest offerings before heading down in your Latin tutu. There isn’t anyone who doesn’t love, secretly or otherwise, visiting the Perth Cultural Centre. While a fair bit of free stuff goes on there throughout the year, the one never-fail is the Art Gallery, which is free to enter (though donations are encouraged!). They also have a whole host of events like Artists Talks that are often, if not almost always, free, so keep in the loop! Remember when you were a kid and visiting the Freo Markets was like Christmas? Well, we can’t say it’s that different as an adult. Meandering through the many stalls, both pop-up and permanent, of the Fremantle Markets remains one of the best things to do in Perth that costs no money (well, if you see something you like, we can’t be held accountable). Plus, you can BYO there on Fridays now! For inspo, check out our favourite spots at the Fremantle Markets. C’mon, you knew it was coming. We aren’t apologising for ruminating yet again on the beauty of our beaches, because it just can’t be said enough. And while they’re all enjoyable basically all day long for about half the year (or the whole year if you’re a surfer, a beach walker, or from Perth), the sunsets are particularly mind blowing—even if you’ve seen one every day since you were born. While best enjoyed free and with no attachments (leave the phone in the glovebox), we are also partial to a bit of fish and chips or pizza and beer action on the sand as the sun goes down, which is still an inexpensive operation (or BYO picnic!). 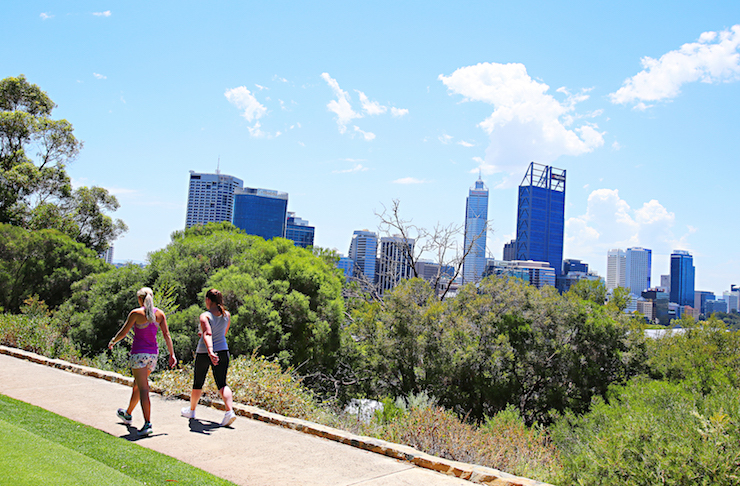 If you like your free things to do in Perth with a side of cardiovascular benefit, our many urban, bush and coastal walks are your new favourite pass-times. The Zamia walk trail in Bold Park offers bush, city and coastal views, and the trail that leads through Allen Park and up to Melon Hill is also downright picturesque. But that’s just scraping the surface: check out all of the best walks in Perth and, if you’re still not satisfied, we also know about all of the more challenging hikes you can find in the Perth surrounds. Here we go again with the bad influencing. Taste all the wine your tongue can withstand and test all the food your belly can hold on the Swan Valley Food & Wine Trail, which is a 32km scenic loop that will take you into some of the finest wineries and restaurants in the state, as well as breweries, distilleries and art galleries. Barring petrol or some kind of chauffeur service, this all comes for free! Also barring all the wine and produce you’re going to purchase. Whoops! It’s more than just a white version of the Golden Arches (it’s called Spanda, guys) and some fancy bridge, okay? Elizabeth Quay is packed full of little bits ’n’ pieces that will teach you new things about WA’s heritage. Check out the Black Swan Mural and learn the Noongar creation story of our iconic black swans, the bronze statue of conservation and civil rights activist Bessie Mabel and the striking five metre tall, cast aluminium First Contact statue. Plus, Elizabeth Quay hosts that many free (and sometimes ticketed) events throughout the year that you won’t be able to keep up—but we suggest trying to. Want more things to do in Perth? Click here.